Friday’s numbers: Sean Hannity-Tucker Carlson-Maddow 1-2-3. Q&A: Trish Regan moves to primetime, Kennedy?moves to 9pm. 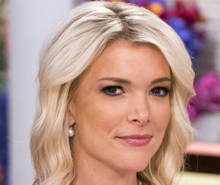 Q&A: Megyn Kelly on Today, Fox, and her ‘spaghetti-strap dress’. Two days late: (MS)NBC corrects fake news about Trump speech. Nolte: CNN hit 17 new lows in one week. ?CNN corrects?headline. Today’s fake news: CNN anchor lies about remarks by Trump and Jr. Morning Mirror: Call for FNCers to quit; Stelter defends Fox bashing. Monday’s numbers: Hannity-Laura-Ed Henry (for Tuck) 1-2-3. Concha: Fox News tops all networks for live SCOTUS reveal. 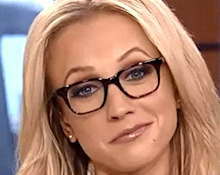 Ginned-up?Fox hatred boils over, endangering?Shannon Bream. Happy news for Jessica Schneider. ?Richard Quest?a traveling man. CNN under twitter fire for ‘bashing Catholics’. ?Weekend numbers. Disney to sell Fox local sports networks,?cinching DoJ approval. Kelly Wright finds work. ?Bill Shine may be finding work…in DC. Q&A: Martha MacCallum previews Florida gubernatorial debate. CNN boasts they’re #1 online but Fox News is claiming a victory. Profiles: Cheryl Casone,?Jo-Ling Kent, Andrea Mitchell? (via TVN). Will CNN’s Zucker/Stankey bromance hold when going gets rough? Athey: Impartial CNN correspondent appears in Dem campaign ads. MSNBC: We don’t cite stats from Fox. ?History not easy for Kasie DC. Scarry: MSM picked wrong side, will lose on immigration. Impartial MSNBC analyst?admits, then denies, he’s a Dem. Now you see him, now you don’t. ? CNN: We’re #1…online. Videos: Restaurant under fire?hosts F&F? How to become a talking head. ?21C Fox chooses the mouse. CNN media critic: Border holding facilities are ‘terror camps‘. Greta is headed to a troubled border region…in Bangladesh. Updated 7:31 pm? ?Use our valuable bandwidth to post your?cable news comments?in today’s open thread. Friday’s numbers: Laura-Tucker Carlson-Judge Jeanine 1-2-3. Bill O’Reilly: Why is Brokaw surprised media ‘perp walked’ him? Carter: CNN hiring leaker James Clapper raises ethical issues. Navarette: Cable news should inform viewers, not push agendas. Concha: Don’t blame Wolf, blame correspondents who chose her. Tapper tome trashed: shoddy, absurd, a mess from start to finish. HuffPo: Joy’s defenders praise her ‘apology’, ignore her cover-up. Poppy returns. Trump’s?for Greg. ?Q&A: Kamau Bell,?Ronan Farrow. CNN: Trump skipped gig?honoring 1st amendment. ?Will Carr to ABC. Updated 6:51 pm? ?Use our valuable bandwidth to post your?cable news comments?in today’s open thread. Reliable Sources:?WHCA President. ‘Theatrical‘ outrage. Brokaw. #MeWho? Maddow, Mitchell etc side with Brokaw.?Flashback. Tom Brokaw responds to Linda Vester by playing the Fox card. Maddow paraphrase?exact opposite of what Trump really said. Today’s Tapper Q&A. ? Profile: Bourdain. ? Judge Nap?honored. Reid: ‘I genuniely don’t believe‘ I wrote that stuff, but I’m sorry. Joy Reid ‘experts’ back-pedal on internet archive hacking claim. 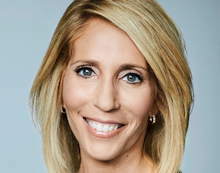 Liz MacDonald to host?Evening Edit on Fox Biz.? Sunday talkers. Updated 2:40 pm? ?Use our valuable bandwidth to post your?cable news comments?in this weekend’s open thread. Very fake news: How CNN onscreen banners?lie to viewers. Chris Cuomo spreads fake story on twitter, then lies about it. Erickson: Hey CNN, ridiculing senior citizens is not journalism. Impartial MSNBC anchor thanks Dem for pushing weapon ban. MSNBC dumps?Medal of Valor heroes;?Joe?freaks out?at NRA. Newsmax?video:?Eric Bolling. ?21C ‘firewalls’ may?seal Sky deal. Friday’s numbers: Maddow-Hannity-Tucker. Weekend numbers. Videos: Trouble with Flynn’s plea? Updated 6:54 pm? ?Use our valuable bandwidth to post your?cable news comments?in today’s open thread. After a year of primetime Tucker Carlson?has more to say. Has Megyn ‘outfoxed herself‘? ?Q&A: Christiane Amanpour. Ingraham’s Lifezette sold to Katz Group. ?FBN เล่นเกมได้เงิน พันทิปwins January. There’s still a Ford in MSNBC’s future. ?SotU coverage guide. CNN anchor tells Trump?what to say tonight. ?Weekend numbers. Thursday’s numbers: Maddow-Sean Hannity-O’Donnell 1-2-3. Faulkner?raising the bar for tv news. Maddow blamed for threat. Trump gets?legal advice?from Judge Nap. ? 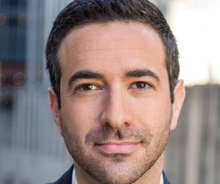 ?MSNBC, Vox team up. Zucker play: CNN revives O‘Reilly Factor shtick – ‘word of the day‘. CNN: Trump’s a racist; yeah, what he said.? Today’s Megyn nitpick. Comey Tuesday numbers: Maddow-Coop-Tucker Carlson 1-2-3. Concha: CNN?Mook, Conway segments?exemplify?media taking?sides. on Comey firing,?calls for special counsel. Concha: Media?seemingly?collude with Yates to ignore criminal leaks. Deadline: White House connects the dots with DC-rich graphics design. 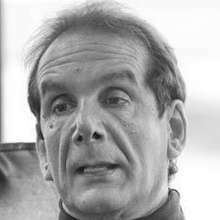 Wolff: Is the Sinclair group competition for FNC? ? Advertisers are back. 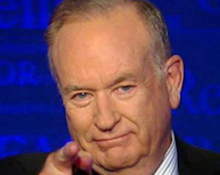 Katz: Fox News?most-watched channel?in all cable for 18th week in a row. Updated 7:03?pm? ?Use our valuable bandwidth to post your?cable news comments?in today’s open thread.